Speckie for Outlook is an add-in for Microsoft Office Outlook that integrates Speckie in to any window that displays webpages throughout Outlook. 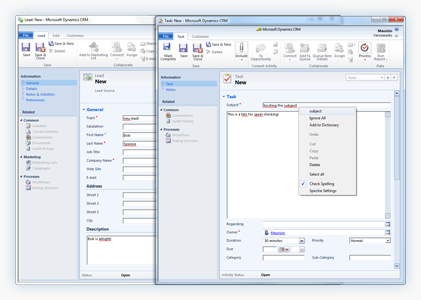 This results in the only real-time, dedicated spell checking solution available for products such as Microsoft Dynamics CRM Outlook Client. 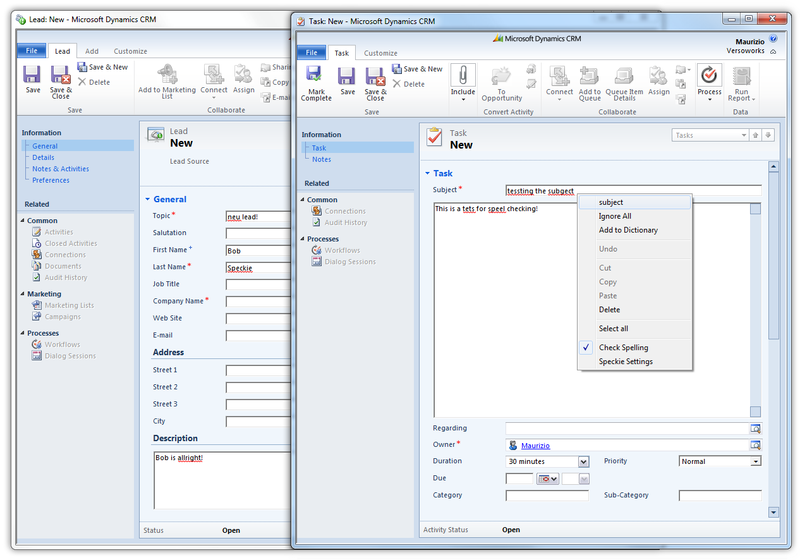 Speckie for Outlook works with Microsoft Office Outlook 2003, 2007, 2010 and 2013 on Windows XP, Vista, 7 and 8. It's available for both the 32 and 64 bit versions of Microsoft Office Outlook. Contact us for licensing enquiries or to request an evaluation copy.